Is Playing by Ear Difficult? Playing by ear is not a magical, god-given gift. Okay, sometimes it can be. There are rare people in the world born with “perfect pitch,” and for them hearing and understanding sounds just works automatically. But those people are rare. For most of us, playing by ear just takes time and practice. It’s not a difficult thing to do per se, but that’s only because there isn’t one big master formula you can try to master to learn it. It comes organically, through familiarizing yourself with how your instrument sounds. That said, there are exercises you can do to improve your playing by ear ability, and there are certain sounds you should listen to. For example, you should try familiarizing yourself with the sound of intervals more than the sound of notes. This basically means that listening to the gaps between notes is more important than listening to the notes themselves. All music is made up of intervals. Intervals are the spaces between notes. If you move from one note to another note, that’ll create a distinctly different feeling than if you were to just play those two notes completely separately from each other. Artists have this idea of negative space. Negative space is basically the space around the main object. Intervals are kind of like negative space –– and they’re CRUCIALLY important. Alright, so what does it mean to hear intervals? Hearing intervals means hearing how far away notes are from each other. Start on a note, then play the note right next to it. That’ll sound different than starting on a note, and playing a note four steps away from it. If you can hear how far away notes are from each other… well, you can pretty map out any piece, by ear. The most important thing is just to try it. If you want to learn how to play by ear, dive right in and try to learn something by ear. Listen closely to a song that you like, and don’t stop trying until you’re able to re-create it on your violin. 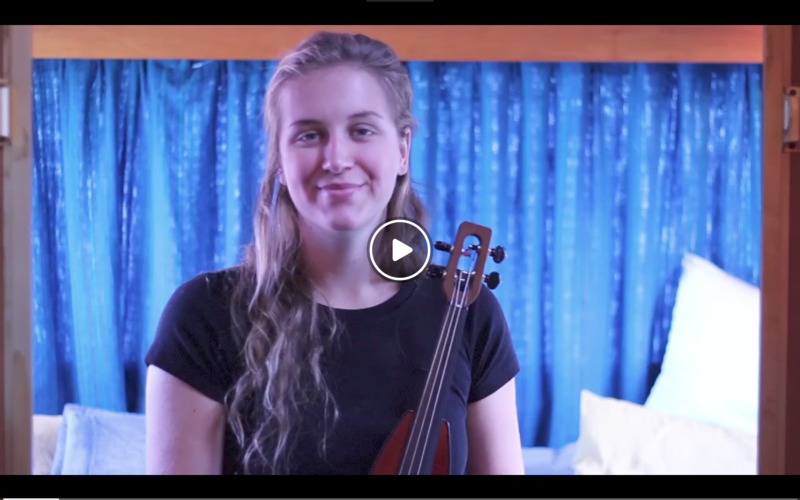 Of course, it might be a bit much to start with an entire song as your VERY first playing by ear project. 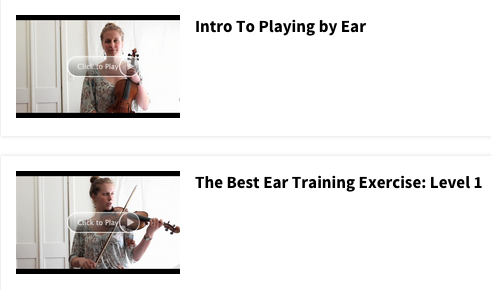 To ease your way into it, I’d recommend starting with my ear training exercises. I am the creator and owner of www.themusiciangirl.com. I love the violin. I love teaching. This website combines both of those things. If you struggle with how your violin sounds... this guide shows you everything you need to fix it.